Most patients with HAE experience angioedema attacks because they lack functioning C1-INH. BERINERT replaces missing or dysfunctional C1-INH through an intravenous infusion, which quickly restores their C1-INH levels. C1-INH inactivates C1, thereby stopping the production of proteolytic fragments and inflammation-inducing complexes. C1-INH inhibits plasmin, thus inhibiting fibrin degradation. C1-INH prevents the conversion of prekallikrein to kallikrein—and the subsequent formation of bradykinin. C1-INH inhibits Factors XIIa and XIa. 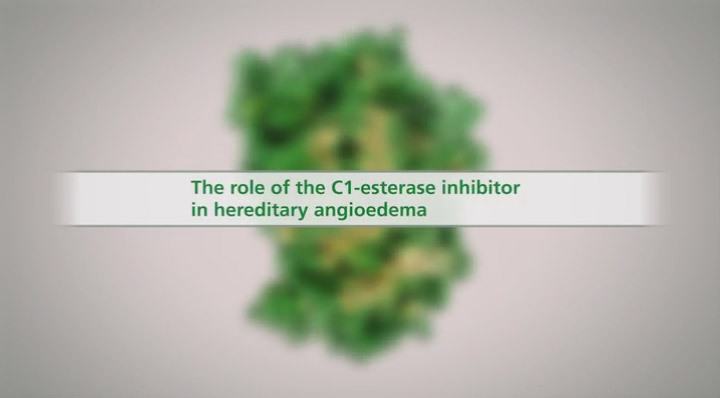 Watch a presentation about the physiological function of C1-INH and how C1-INH replacement therapy treats the root cause of HAE attacks. ‡Based on 15 IU/kg dose.